With Cool-Therm becoming the UK partner for SAIFOR, the 2012 show will be slightly different this year for Cool-Therm. As well as the ultra efficient Turbomiser technology which offer data centres super efficient chilled water systems. Cool-Therm now also have the full SAIFOR data centre solution range to promote within its company port-folio. 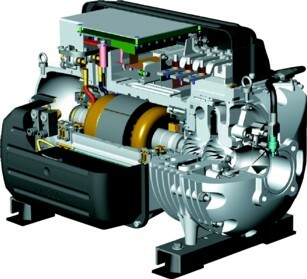 At next years DCW, Cool-Therm will be demonstrating the Danfoss Turbocor TT350 compressor which is found throughout the Turbomiser range of chillers. To accompany this, Cool-Therm will also have on show a SAIFOR HDC In-Row cooler accompanied by a SAIFOR ARCTIC rack so that we can demonstrate the "Total" turnkey solutions Cool-Therm can offer to the UK Data Centre Market.